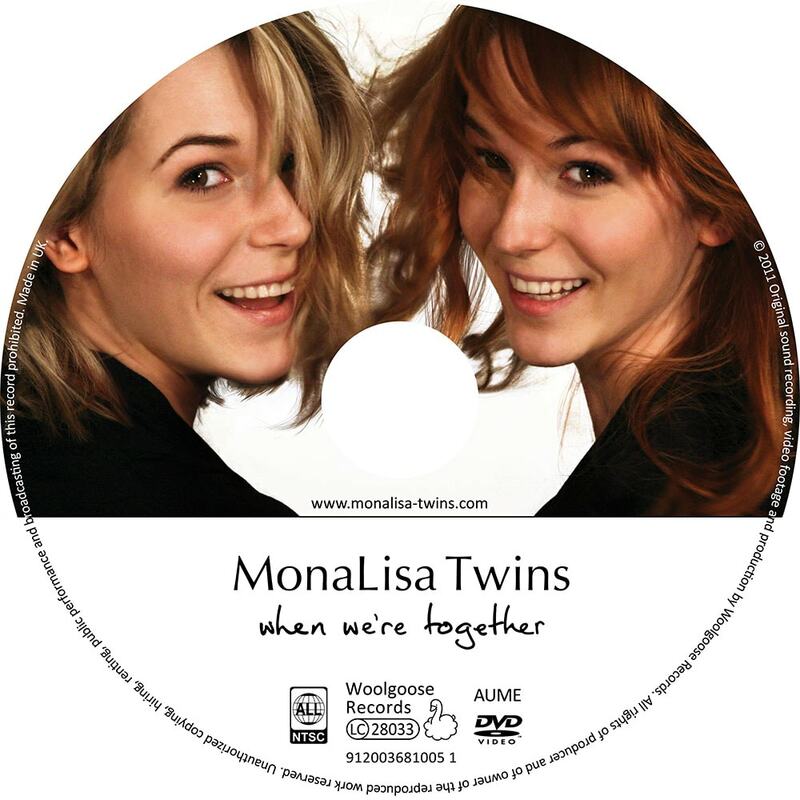 The “When We’re Together” DVD is a collection of music videos for all 11 songs on the MonaLisa Twins’ same-titled debut album. 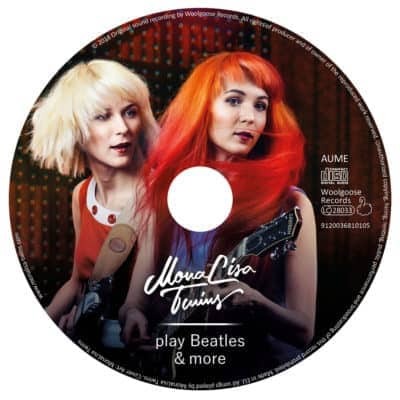 You can expect Rock ‘n’ Roll, 60ies Beat music, Psychedelic Rock and Ballads to lovingly manufactured video clips, featuring witty, dreamy, thoughtful and cartoony pictures, even bird’s-eye view, deep space and time-lapse skies, all filmed and edited by the MonaLisa Twins team. 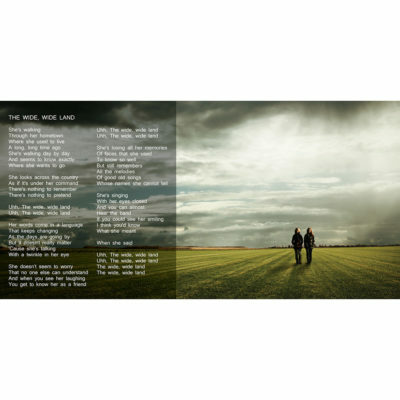 Check the tabs below for more info, video samples and lyrics..
That's great. I recommend it! Woooowwww!. Today came to my house the MLT DVD “when we are together”. It is a great gift for all fans to enjoy all the video clips that make up the album (some of them of special beauty as the videoclip of the song “Nothing Is In Vain”, which is my favorite). I don’t mind recognizing that this is my favorite MLT album so to enjoy your original video clips has been a lot of fun… along with the making off and extras is a beautiful and pleasant souvenir. I recommend it. 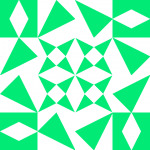 In addition, as a gift, MLT have included some very nice stickers: Thank you very much!. I love iT! The picture quality and sound on this DVD are top notch. 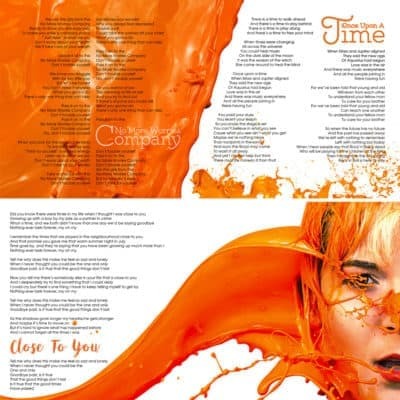 The songs are all outstanding and the videos are superbly done. A wonderful MLT experience awaits you. Don’t hesitate, buy it! A MUST have! 5 stars! YAY! Another package from jolly old England came today! This DVD is a must have even if you’ve already seen the girls music videos because the extra “Making of” portion is REALLY fun and interesting. Great stories for each video, lots of out takes and goofing around! Mona & Lisa’s sense of humor is AWESOME! You’ll smile from ear to ear! GET THIS DVD! I now have all of the MLTs albums and quite a lot of other product from their online store. 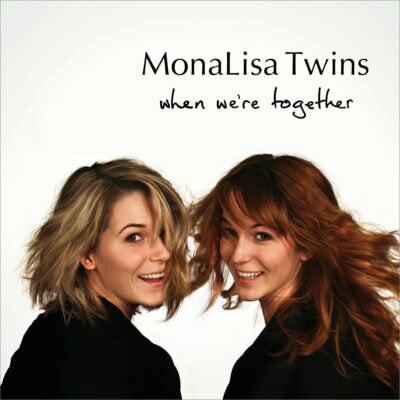 ‘When We’re Together’ – Album DVD is a masterful package of well written songs played and sung as only MLT can, accompanied by well produced videos that enhance each of the delightful songs. As a bonus, we are treated to over 30 minutes of the Twins talking you through exclusive behind-the-scenes footage and bloopers that can’t be seen anywhere else. 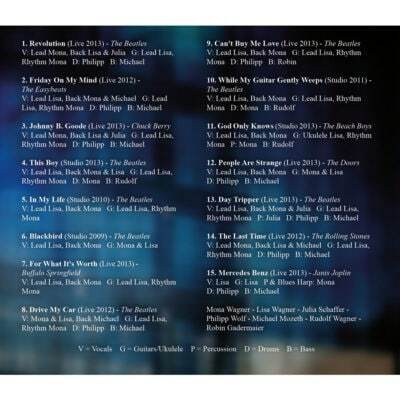 This DVD is simply a must for any MLT fan! This is my second purchase, having previously bought “Play Beatles and More” after discovering the twins on Youtube when searching Beatles covers. 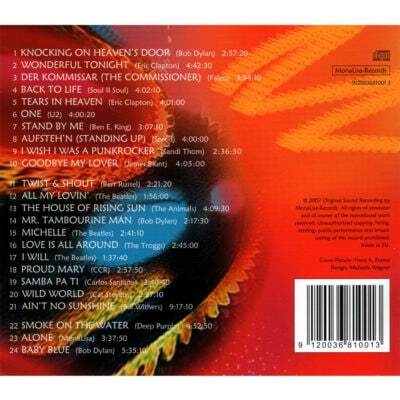 The DVD is fantastic and whilst all the songs are terrific there are a number of standouts which really hit the mark. The twins are not only great performers, but also great song writers and their talent is up there with the best. 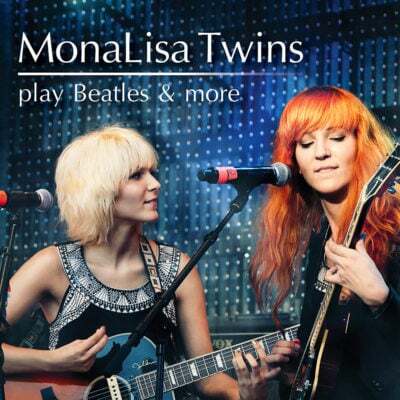 I have even shared the MonaLisa twins with my 10 year old niece as an exemplar of what to aspire to as a musician. I will continue to support the twins and look forward to more 60’s covers and original material. 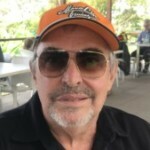 Pity I live in Australia, as I would love to see the twins perform live. Beautiful, full of joy, contagious… Sure I will lose among words looking for the most accurate to describe you and your work. My life has been fueled by music: jazz that my mother loved, tango that my father sang and whistled like no one else, the blues, rock and even folk my brother and I learned to love… Now in my sixties, I must say I AM HAPPY to find these wonderful girls making the music they love with strength and freshness… You renewed my faith in music as a way to help the world heal and carry on… I marked four stars, because I know you are always getting better. 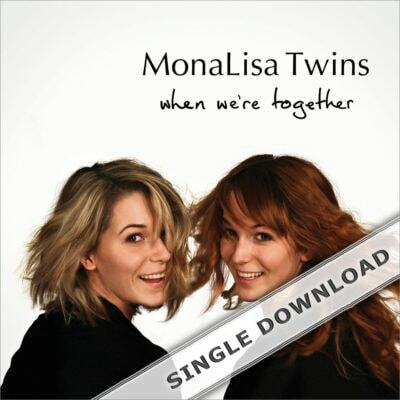 The "When We're Together" DVD is a collection of all music videos for each one of the 11 songs on the MonaLisa Twins’ same-titled debut album. 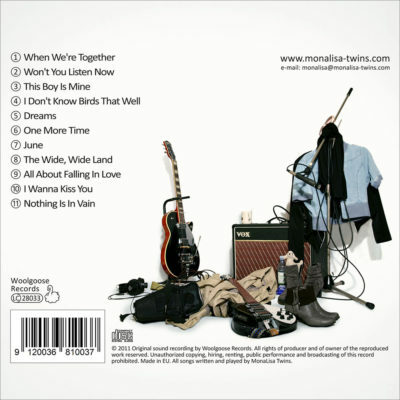 You can expect Rock 'n' Roll, 60ies Beat music, Psychedelic Rock and Ballads to lovingly manufactured video clips, featuring witty, dreamy, thoughtful and cartoony pictures, and even bird's-eye view, deep space and time-lapse skies' effects, all filmed and edited by the MonaLisa Twins family. On this DVD you will find all 11 movie clips that got released between 2012 and 2014, together with over 30 minutes of the Twins talking you through exclusive behind-the-scenes footage and bloopers that can't be seen anywhere else. For example, have you ever wondered about how some of the special effects were created, or how it works to make a high quality video in home production? 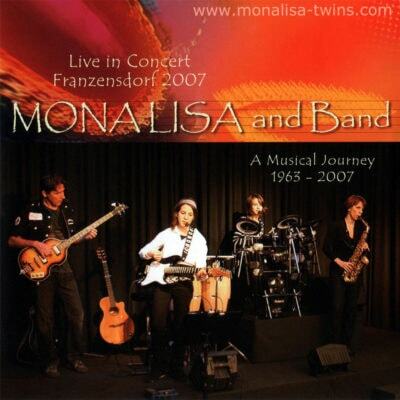 As always, the videos were done in a family team effort, just by Mona, Lisa and their parents Rudi and Michaela. That goes from planning to storyboard to costumes and make-up, to filming, cutting, special effects and the final production of the DVD. Treat yourself or a friend to a very special visual & musical experience, sit back and relax! Optional: Get on your feet and shake along to the music!